Question submitted by Steve P.
A homeowner wants to rent our homeowner association clubhouse and set up a Bouncy House on the common area for their children’s birthday party. About 30 kids plus adults will be attending the party. Will our Homeowners Association (HOA) (or Planned Unit Development (PUD)) General Liability insurance cover the association if someone gets injured during the party? HOA (and PUD) General Liability insurance does not typically like to cover the liability risk posed by a special event when rent is being paid for use of the clubhouse or grounds. Requests to rent clubhouses and to use Bouncy Houses in the common area at associations are becoming more frequent. The best way to proceed is to have the homeowner purchase a special One Day Event insurance policy endorsement through their existing homeowner insurance policy. The homeowner should increase their General Liability coverage to at least $1,000,000 for the day of the event and have the association be specifically named as “Additional Insured”. A certificate typed in the agent’s office that lists coverage, but is “For Your Information Only” is not sufficient. The Additional Insured endorsement should be provided to the association in advance of the party. 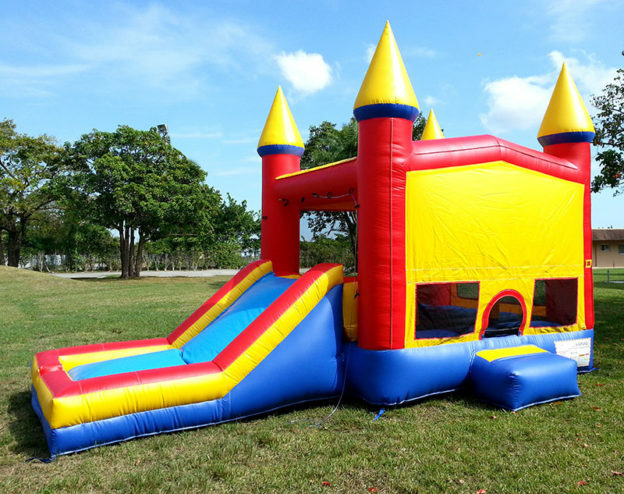 I suggest having the homeowner’s agent confirm in writing that the One Day Event coverage will defend the association if someone is injured while using the Bouncy House and the association gets sued… just to be certain that Bounce Houses are not an excluded risk. Have the One Day Event insurance include a Liquor Liability endorsement if the homeowners will be serving alcohol to the adults.